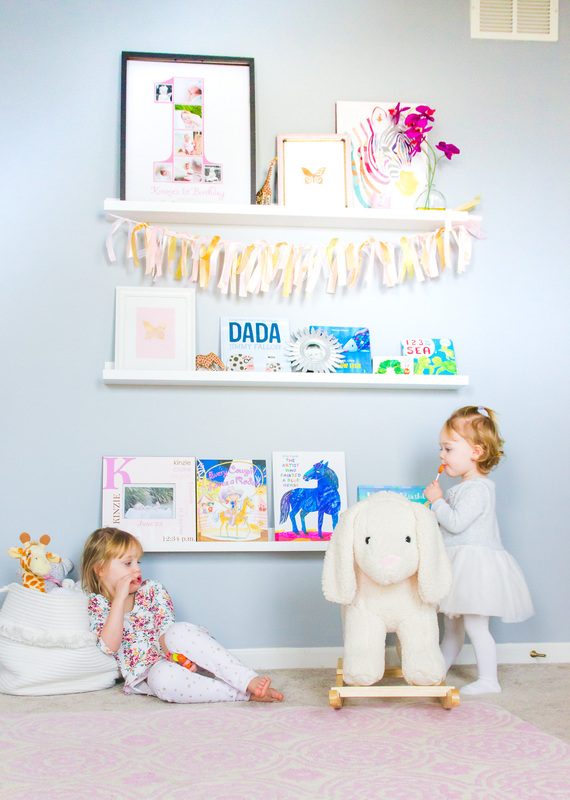 I’m starting to think about a new nursery design and wanted to share one idea that I loved! 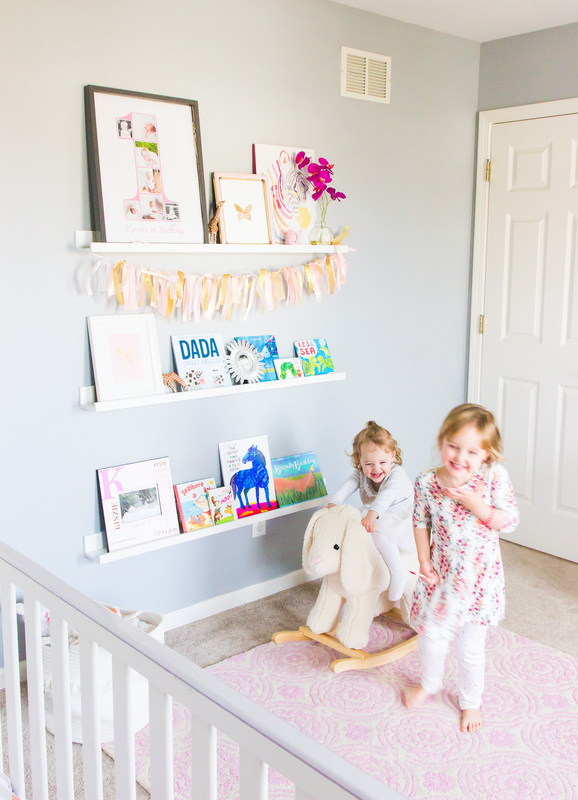 Kinzie and Taylor will be moving into Taylor’s bedroom and the new baby will be getting Kinzie’s current room. We’ll be changing a lot in this room but keeping these shelves in place. The best thing about them? They cost under $30 total for all. I wanted shelves that didn’t take up a ton of space, that could display items and were easy to access so the girls could grab books on their own. I switch up the books on the shelves at least once a week and the kids love being able to choose their stories that are on display. Especially Kinzie. She is happiest when you read to her. 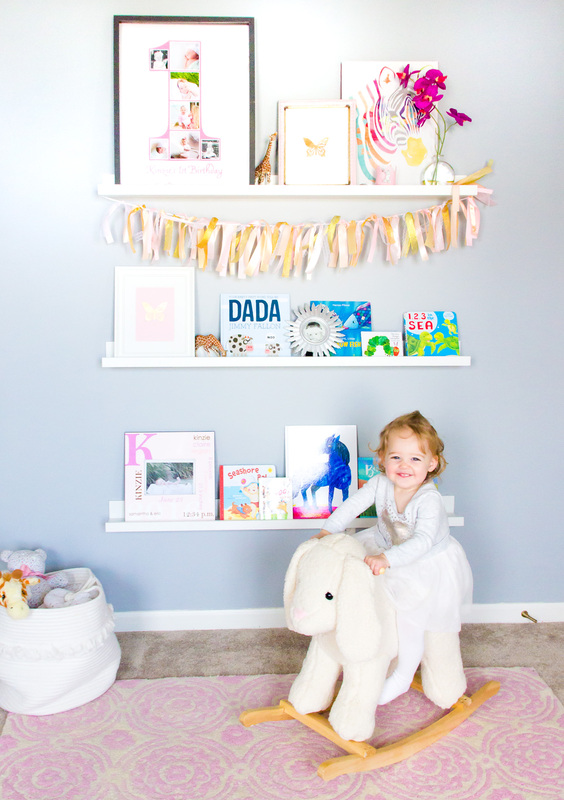 The shelves are actually picture ledges from IKEA and they are on sale for only $9.99 each!! Details: MOSSLANDA, size 45 1/4. 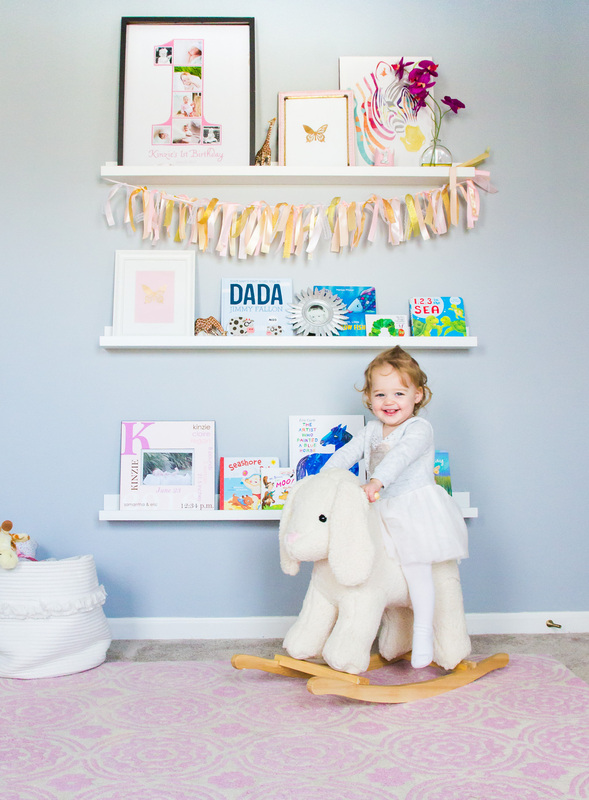 You can shop this post and more of Kinzie’s nursery too! This photo is so blurry but I just love these two! Also, in case you haven’t had a chance yet, please fill out my Reader Survey here! I’m so glad to hear some of your feedback on my blog! It has helped a ton already to narrow down which type of posts to focus on moving forward. 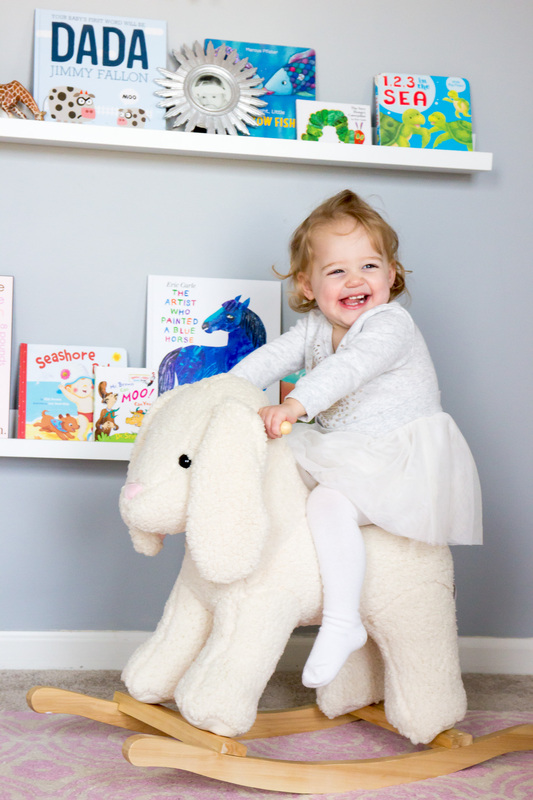 One reader recently said she would like to see more posts with easy decor ideas that are kid friendly, so this one was for you!